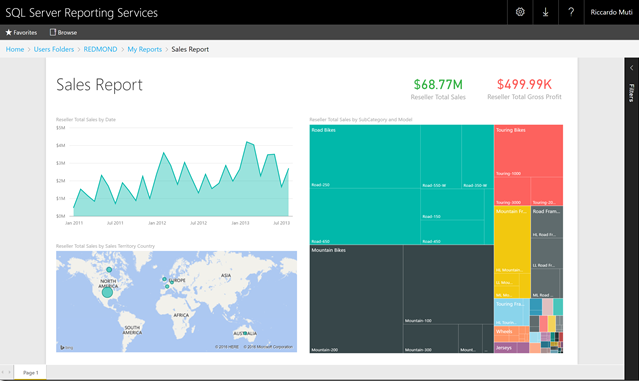 This week, the Reporting Services (SSRS) Technical Preview gets released for download. 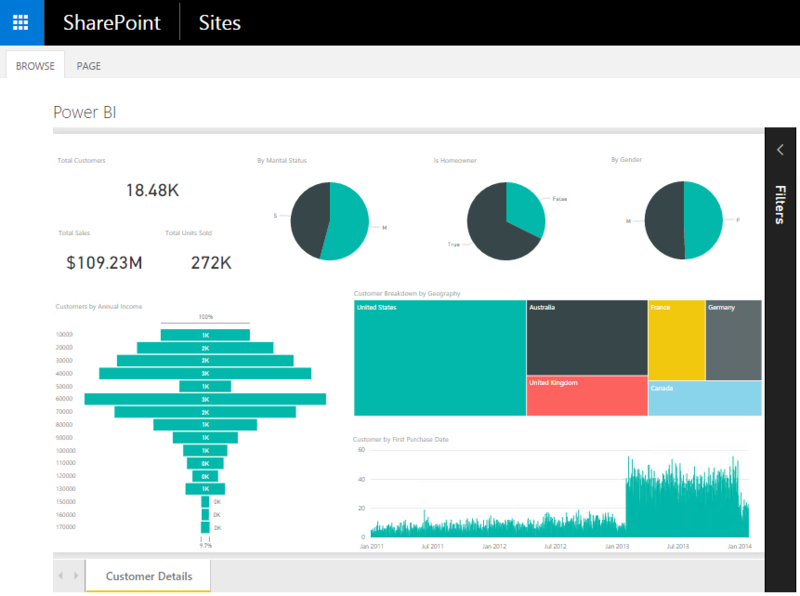 Not only does this allow you to embed Power BI Reports inside a Reporting Services Native Mode Report Server, but you can embed them inside SharePoint 2016 web part pages too. And this goes for Reporting Services Mobile Reports and Power BI Reports alike. Out of the box, the first thing that jumps out (default SharePoint installation) is the need for a decent skin, but otherwise, the SSRS Mobile Reports frame nicely into SharePoint 2016 web part pages. 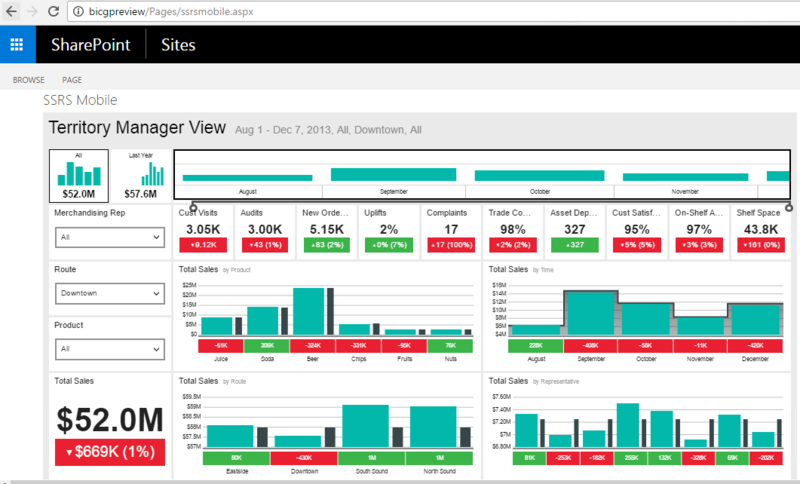 Here, an interactive Power BI report sits nicely in a SharePoint 2016 page. No Reporting Services Add-in, nor Reporting Services Integrated mode component were required to be installed on SharePoint 2016. Does the third example you provide use Power BI Embedded or is there another method that provides security?